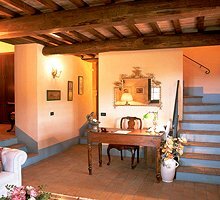 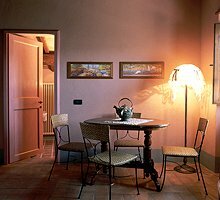 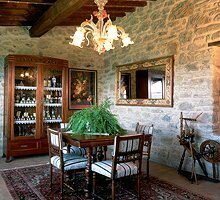 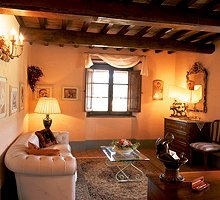 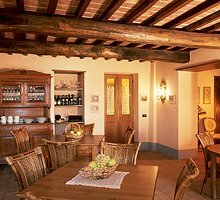 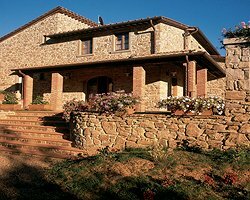 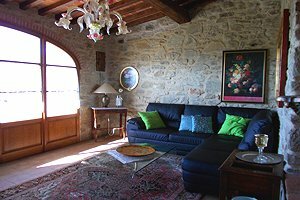 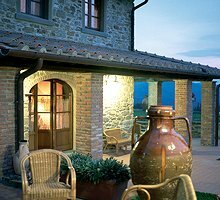 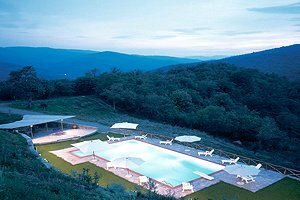 The villa is situated in Valtiberina, not far from Arezzo and other important Tuscan cities of art, including Cortona, Anghiari and Monterchi. 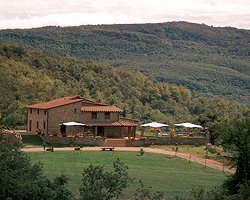 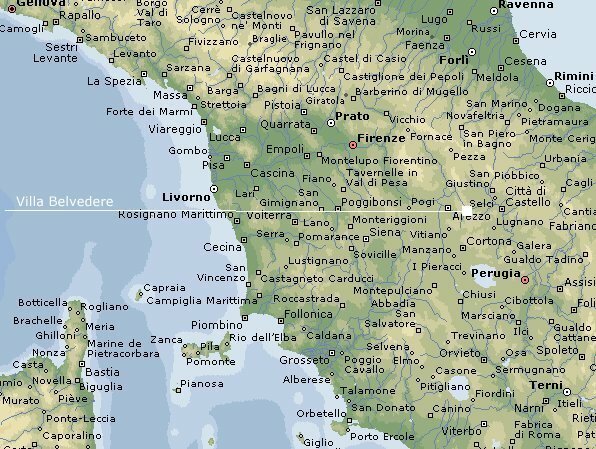 Siena, Florence and Lake Trasimeno are easily reached by car for pleasant one-day trips. 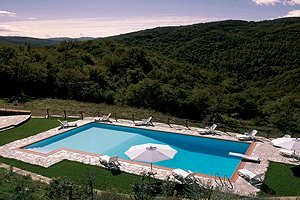 The villa stands 680 metres above sea level and commands the wonderful panorama made of hills covered with woods. 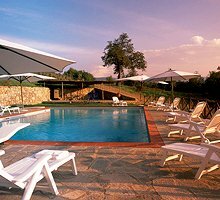 The private panoramic swimming pool (8x16 m; depth: 1-2.50 m) situated in the wide garden that surrounds the building is equipped with sun loungers and sunshades. 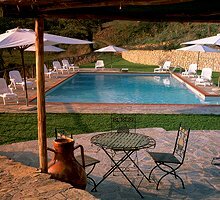 A bar is near the swimming pool, whereas the terraces are furnished with tables and chairs for having meals al fresco. 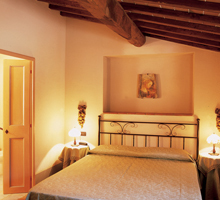 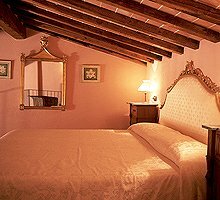 The rooms have beamed ceilings and warm terracotta-tiled floors and are furnished with ancient original items. 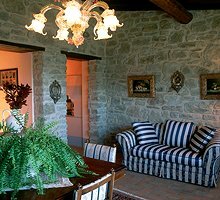 The recently renovated villa can be rented for celebrating weddings and other special events. 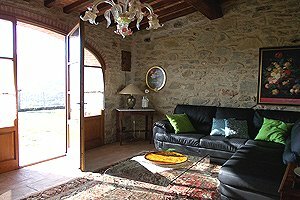 The two-storey building sleeps 12+2 people in 6 double bedrooms and 1 double sofa bed, and has 6 bathrooms and 3 half bathrooms. 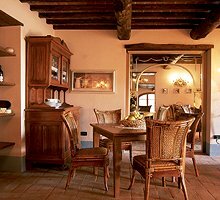 On the ground floor are the fully equipped kitchen, a living room, the dining room with fireplace and three half bathrooms. 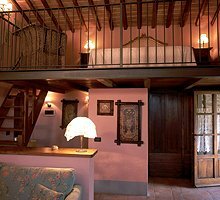 On the first floor are five double bedrooms with ensuite bathroom with shower and a suite composed of double bedroom, living room with double sofa bed and a bathroom with shower. 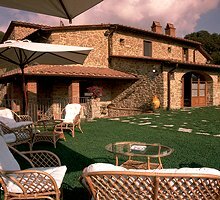 The villa is equipped with swimming pool, table-tennis table, barbecue, bowls, working fireplace, Internet connection, stereo system with CD player, satellite TV, DVD player, oven, microwave oven, fridge, dishwasher, washing machine, cot beds and private car parking place. 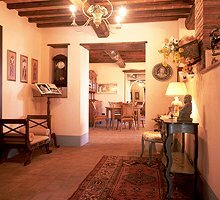 The following services are available upon request: bicycle rental, cooking lessons, local organic produce sampling, wine tours, organized tours and excursions and maid service. 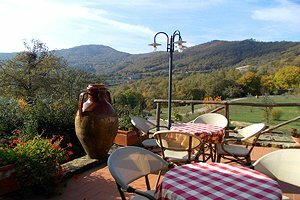 A food shop is 2.5 kilometres from the villa. 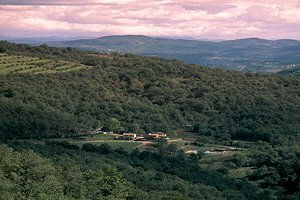 Other shops and services are in Monterchi (9 km). 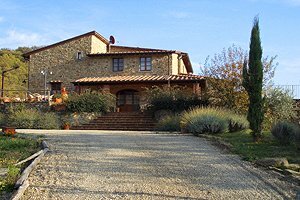 A golf club, a tennis club and a riding stable are 15 kilometres from the estate.